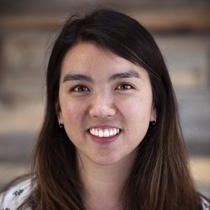 As a Client Project Manager, Emiko is responsible for providing support to the sales team in the form of quoting, proposal generation, and other projects aligned with the overall success of StrataCore. Before joining StrataCore, Emiko worked as Director of Operations for Plug and Play, a Silicon Valley based global startup platform. She received her BA in Psychology and Education from the University of California Santa Cruz, where she supported first year residents in the residence halls and played lacrosse.